Selangor (Malaysia), Sep 9 : PGA Tour champions Daniel Chopra of Sweden and India’s Arjun Atwal, who is also a double Malaysian Open winner, will be amongst a star-studded cast at the Worldwide Holdings Selangor Masters next week. The popular RM1.3 million ($410, 000) Asian Tour tournament has also attracted five members of Team Asia, who fought from the brink of defeat to earn a thrilling draw with Europe in the inaugural EurAsia Cup presented by DRB-HICOM in Malaysia earlier this season. India’s Anirban Lahiri, currently second on the Asian Tour’s Order of Merit, compatriot Gaganjeet Bhullar, Thai veteran Prayad Marksaeng, Bangladeshi trailblazer Siddikur Rahman and Malaysia’s very own Nicholas Fung have all signed up for the Selangor Masters at Seri Selangor Golf Club Sep 18-21. Lahiri, a four-time champion on the Asian Tour, will be eager to improve on last year’s runner-up finish at the Worldwide Holdings Selangor Masters to Thailand’s Pariya Junhasavasdikul, who has also confirmed his title defence. Korea’s Baek Seuk-hyun, one of the rising stars of the game in Asia, will also be on a redemption drive next week as he let slip the chance of lifting a first Asian Tour victory with a late stumble on the final day to hand victory to his close friend Pariya and eventually finished third. The well-travelled Chopra will renew his association with Malaysia, which saw him land his first professional title back in 1993 in Johor. He was also victorious in the Malaysian PGA Championship before going on to establish his career internationally. The 41-year-old, whose father is Indian and who grew up with his grandparents in the sub-continent, won the 2001 Mercuries Taiwan Masters on the Asian Tour and also has three victories on the Web.Com Tour, the secondary circuit, in the United States. 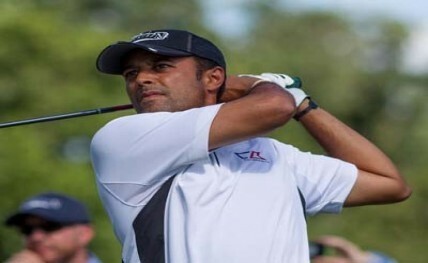 Atwal, also 41, is one of India’s most successful golfers where he has seven career victories on the Asian Tour, which include triumphs in the Malaysian Open in 2003 and 2008. He is also a one-time Order of Merit champion and one of his greatest victories was recorded in 2010 when he became the first Indian to win on the PGA Tour at the Wyndham Championship. The US-based Atwal credited the Asian Tour for providing him with the platform to launch his career and still supports the region’s premier Tour with occasional appearances. “It gave us the opportunity at the right time when we were young to learn how to do everything in golf – make cuts, travel around Asia. It was so much fun as it was a tight family tour,” said Atwal. The Worldwide Holdings Selangor Masters joined the Asian Tour Schedule in 2008.